Panama City Toyota builds some pretty hot vehicles. Here, PCT’s master technicians James Anderson and Ken Kittrell install a TRD Supercharger into a 5.7-liter engine Toyota Tundra truck. The final Japanese pickup creation is a beast that is beastie enough to put nightmares into the Japanese head of Godzilla. 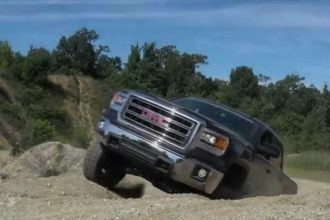 Oh, and if you want to get right to the meat of the video go to the 0:28 mark and watch this killer Toyota Tundra spin out with its 504HP and 550 lbs-feet of torque.